Would Russo reappear and be called Jigsaw? Will this be the last good Netflix/Marvel series? This will not be an episode recap. Other sources, such as IMDB can do a much better job of that than I can, so check if that is what you are looking for. It is surprising what thoughts go through your mind when you read the episode titles. I could not help but think of Patrick Swayze in Roadhouse based on this episode title. And really, the barroom fight lived up to the title. No time was wasted putting Castle back into action and onto his next mission. 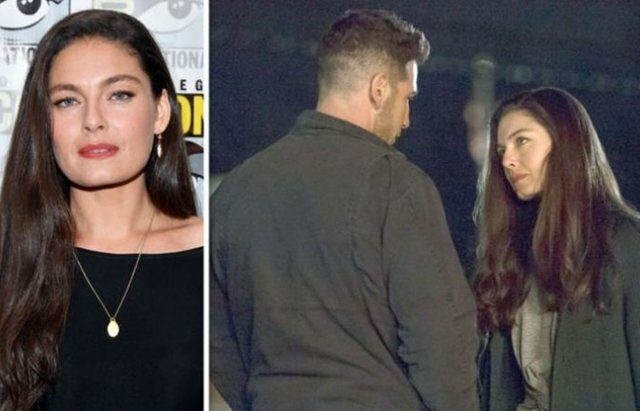 Frank meets the bartender, Beth (Alexa Davalos). I knew I should have recognized this actress, but I could not place her during the first couple of episodes. I finally had to go online and learn she was the main character in Amazon’s Man From High Castle. I am a bit embarrassed I could not place her just from watching the series. Russo awakens at the end of the episode, so we know where this will be heading. The start of this episode establishes what has been going on with Madani as Russo has been in a coma between seasons. Russo is referred to as Jigsaw, so that is a nice homage back to the comics. Apparently, Russo does not remember the events that lead up to his hospitalization. We get to the fight that leads to the first scene in episode one. Frank saves a young girl from a team of kidnappers. In the fight, Beth is injured. Beth is dropped at a hospital. Frank reaches out to Madani for help, but she wants nothing to do with him. We also learn the “hitman” John Pilgrim (Josh Stewart) has a religious background. We learn more about John Pilgrim’s current religious history at the start of episode three. We are also introduced to Anderson Shultz (Corbin Bernsen) who is the man behind John Pilgrim. We learn in this episode, that Frank with a broken shooting hand is a better shot than most with both hands. Frank pretty much single-handedly saves a police station from an all-out assault. Madani does show up at the end of the episode to help Frank and bring him back to New York. It was not clear to me at this point why the girl, Amy Bendix (Giorgia Whigham) is wanted by the religious group. My first thought was she must have escaped from them, and they wanted her back. It turns out, she was part of a group delivering some “embarrassing” photos the Shultz’s son, and the rest of her group was killed. We do get to see Russo’s face in this episode. Quite honestly, the scarring was not as bad as I expected it to be. Very mild compared to the comic character, but I can imagine Russo, who it was mentioned in season one never had his face damaged, it could seem catastrophic. Not a lot of progress in this episode, and some episodes did feel to drag on a bit. Russo does leave the hospital with the psychiatrist Krista Dumont (Floriana Lima) as a hostage. He releases her and violently takes care of an early childhood trauma. After which, he returns to the psychiatrist. It can be argued that Krista is the real villain of season two, manipulating Russo, Madani, and indirectly Castle. At this point, we have not seen Beth since episode two. I decide at this point, she would either be used as bait for Castle later in the season, or he would return to her at the end of the series to give us a “happy” ending. I was again, completely wrong. The writers of the season at least did not go for some of the obvious plotlines. It was nice to learn the trick behind One-Eyed jacks. I also enjoyed Turk (Rob Morgan) making an appearance. It was good to see characters like Turk, Officer Mahoney (Royce Johnson), and Curtis (Jason R. Moore) making return appearances to the series. We learn that John Pilgrim’s wife is very ill. Pilgrim “beats himself” as “punishment”. I kind of find this religious person whipping themselves a bit stale, and was even done in another recent Netflix series Castlevania. Regardless, Pilgrim is sent on a mission to New York to track down the girl. At this point, I realized we had not yet seen Microchip, and we do not see him anywhere in season two. Too bad. During this episode I did start to wonder how they would pull all the plotlines together. We do get some backstory about what happened to Agent Madani after she was shot at the end of season one. Castle, Madani, and Curtis agree to take out Russo. Russo has gathered together a group of dissatisfied vets and using his past training experience to start performing “bank jobs.” Frank does mention his time with Beth, so I again thought she would show back up at some point, but again, I was wrong. Russo and Frank have their first confrontation. Russo has forgotten what he did to Frank and his family and is surprised when Frank tries to kill him. Now, Russo feels justified in going after Frank, since Frank has turned on a brother. In this episode we do see Frank become a bit unhinged. He gets borderline violent with Amy, and I personally did not care for this portrayal of the character. They do take steps to rectify in the following episodes. Frank visits his wife’s grave, and then puts Frank back on track. Amy does stand up for Frank in this episode and Frank does appear to be back on track and back on mission. Madani has begun speaking with the psychiatrist Krista. She lets out a way for Russo to beat Frank. Frank attacks Russo’s base of operations. It is pretty ridiculous how much abuse Frank takes during the attack and is still up moving around. During the attack, Frank fires at an escaping Russo. When Frank enters the room, he finds three dead women whom he believes he has killed. Frank allows himself to be captured by the police. Frank is in the hospital. It should be noted at this point there is a five million dollar bounty out for Castle, and even police officers are trying to cash in. Karen Page (Deborah Ann Woll) makes her appearance and begins investigating the details around the death of the three women from episode ten. It is pretty obvious that Frank did not fire the bullets that killed them, so Karen’s job in the story is to clear Frank with Madani and Mahoney. We also get the background about Krista’s fear of heights, why she became a psychiatrist. Again, she kind of is the villain of the series. Castle escapes from the hospital with the help of Madani and Page, but is captured by Mahoney outside. Frank and Mahoney are attacked by John Pilgrim enroute to the police station. Castle manages to escape Mahoney’s custody after pulling him from a crashed and burning ambulance. Madani makes the connection between Russo and Krista. Madani confronts Krista in her apartment. I find it a bit of a stretch that a trained DHS agent who is as tough as Madani has been portrayed in the two seasons of the Punisher had so much trouble fighting Krista. Madani ends up, not surprisingly, throwing Krista out of a window. Russo finds Krista on the sidewalk and heads upstairs to confront Madani. So Madani goes toe-to-toe with Russo. In the last episode she barely beat Krista, but is tough enough to hodl her own against Russo. A little bit inconsistent in the story-telling. Russo does end up shot and passes out before being able to finish off Madani. We next see Russo with his money at an underground surgeon to get some bullets removed. Russo passes out from the pain and finds himself without money in a dumpster. In one of the previous episodes, Frank has tied what is going on with Amy to the Shultz family, including Senator David Schultz (Todd Alan Crain). Senator Schultz is the son of Anderson and Eliza Schultz (Annette O’Toole). He apparently knows nothing about what is going on with the photos and his family. Curtis takes Senator Schultz to Mahoney . Frank finally has the big fight with Pilgrim. Frank frees Amy and we are left wondering if Frank killed Pilgrim or not. We learn that Krista survived the fall from the window when Madani confronts her in the hospital. Curtis received a call from a dying Russo asking him to come be with him. Frank shows up to Russo’s location, and after a few words, Frank shoots and kills Russo. This scene really did surprise me. I was expecting some long death soliloquy or some type of forgiveness given by Russo or Castle, but no, the incident concluded very rapidly. Amy walks into the Schultz home and informs the Schultz about what has happened. When Eliza Schultz attempts to stab Amy, Castle puts a bullet in her head. He then leaves Anderson Schultz with a gun and one bullet and gives him the option to live with what he has done or use the bullet on himself. Schultz chooses the latter. We also learn that Pilgrim survived his encounter with Frank, and with Frank’s help has freed his sons from the Schultz’. The episode and series wraps up with Frank three months later refusing a job offer from Madani who is now with the CIA. The series ends with Frank entering a warehouse and dispensing with a couple of gangs. As was the case for season one, a solid cast with great acting. The lot for season two was not as intense as season one, and I felt there were more down points than in season one. I really felt like the who John Pilgrim storyline was unneeded. Also, Corbin Bernsen and Annette O’Toole were seriously underused for actors of their caliber. I also feel the writers had a choice for the final three months later scene where the could either have Frank retire with Beth for a happy life, or do what they did which was Frank continuing his mission. 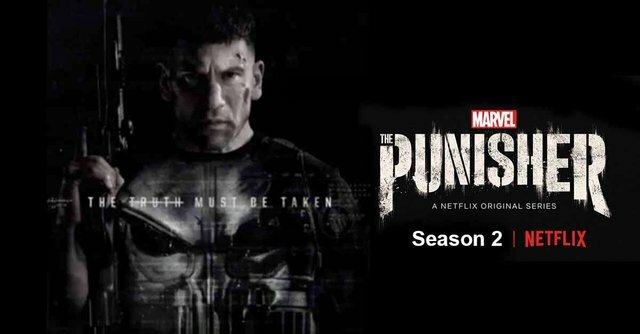 Since this is likely the last of Bernthal as the Punisher, I think I would have preferred the happy ending this time. The Punisher still is Netflix’s second best Marvel series behind Daredevil. This series is in spot #5 for me in the list. The #campuscomicscast will be discussing Punisher season two in an upcoming episode, so be sure to subscribe on your favorite podcast app so you do not miss it. You can also find @burgcomics online at https://www.burgcomics.com and on eBay at https://stores.eby.com/burgcomics. If you happen to be browsing through the eBay store and see something you like, let me know. I might be able to arrange for a lower price through a direct contact. Additionally, I can also accept BitCoin or Steem for purchases outside of eBay.